4k00:214K aerial stock footage of car driving along the winding mountain pass road through the forest in Sochi, Russia. People traveling, road trip on curvy road through beautiful countryside scenery. 4k00:27Racthaprapha Dam , Khao sok , Sounth of Thailand in Bird eye view. 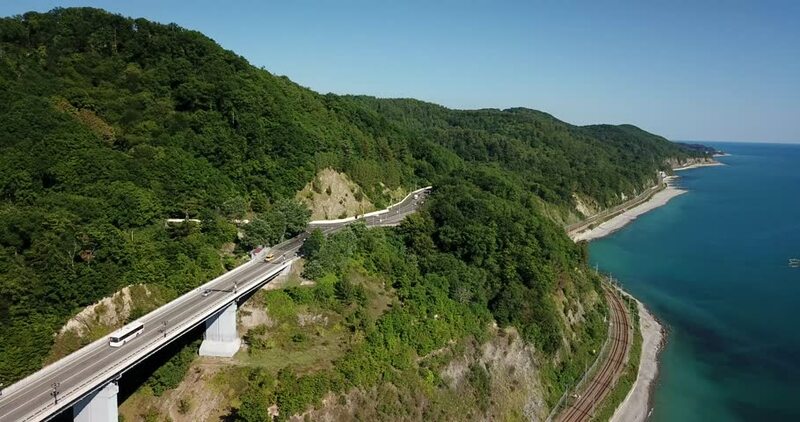 4k00:234K aerial stock footage of car driving along the winding mountain pass road through the forest in Sochi, Russia. People traveling, road trip on curvy road through beautiful countryside scenery. hd00:18Aerial view of Mediterranean Coastline along the Croatia. Cars driving on highway near to the cliffs overlooking the blue sea. 4k00:15Aerial view of the ocean, beach and coast road near Durban, South Africa.